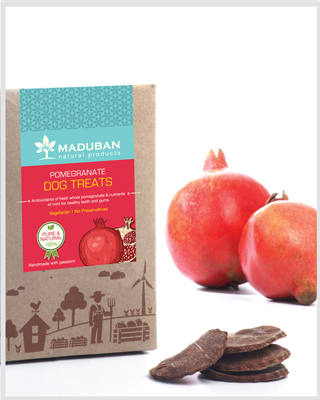 Maduban Naturals introduces delicious treats for dogs that are completely vegetarian & natural – free of any synthetic flavors, colors or preservatives. They are a healthy daily treat for your best friend. 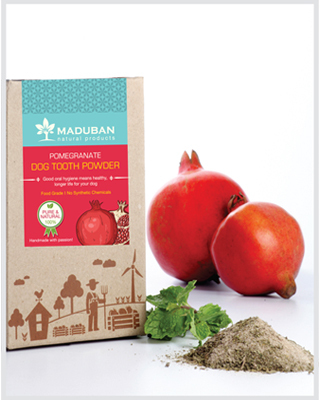 antioxidants help remove dental plaque as well as prevent gum diseases. mint leaves (grown organically in our own garden). Mint helps in freshness of breath besides helping in digestion. Can be purchased online. Shipping free to anyplace within India! The item will be shipped within 2 days of receipt of order.